Our Club was very fortunate to have many people donate funds in memory of Pat Hinde's husband, Vince. 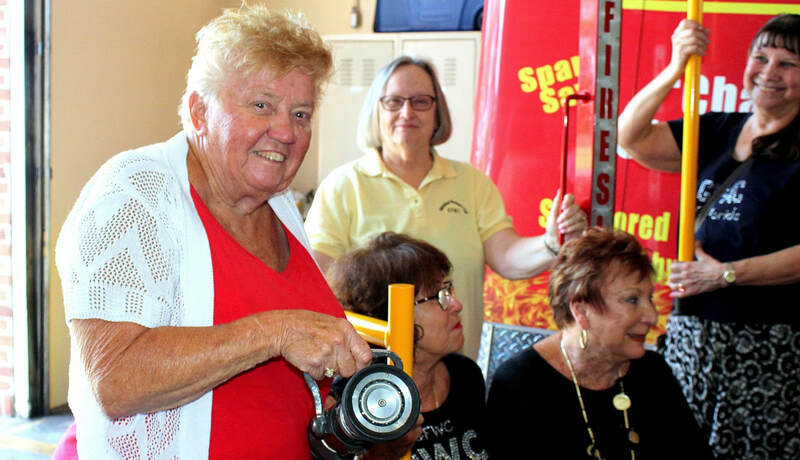 We were in need of a new, easily moved dish cart for the kitchen storage room and Pat graciously agreed that equipment such as this was something that her husband would have approved of. 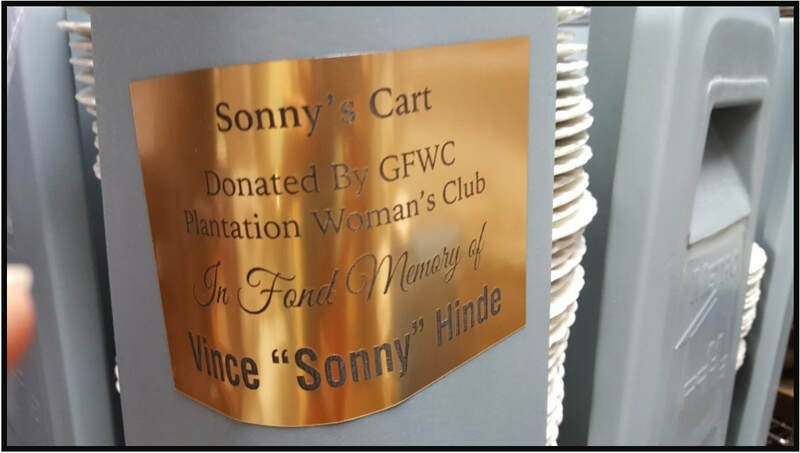 Thus "Sonny's Cart" was dedicated with a gold seal in November indicating that it had been purchased in loving memory to honor Vince "Sonny" Hinde. 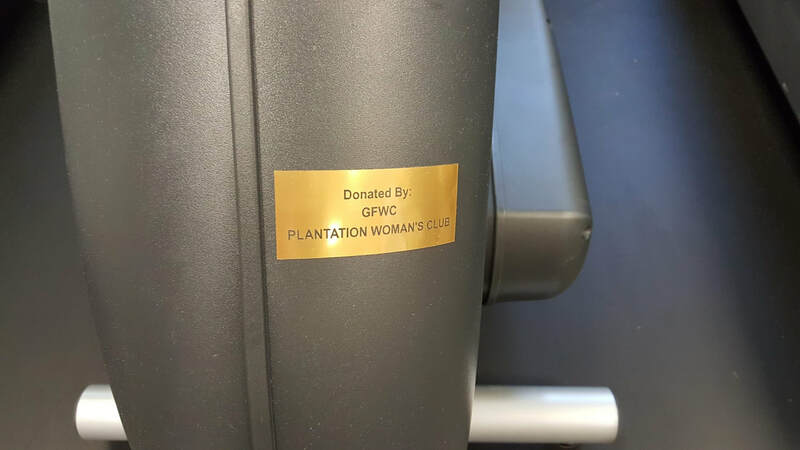 Although the cart stays primarily in the kitchen, the bright golden seal will continue to remind everyone who goes into the area of this thoughtful gift. 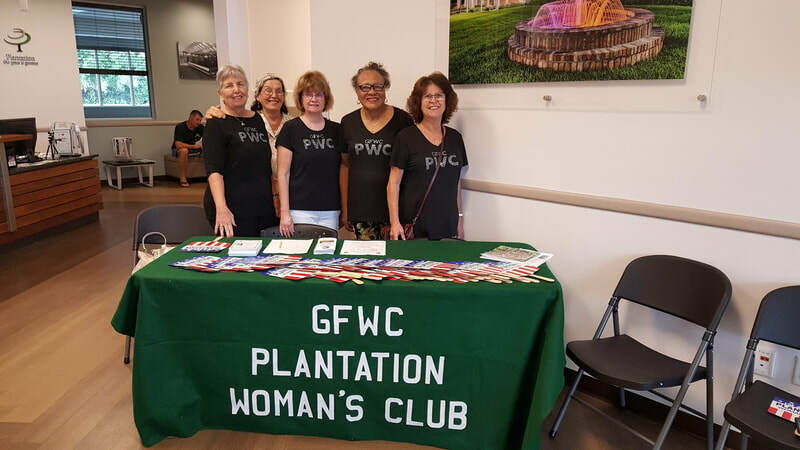 The new Community Center’s one-year celebration on August 18th had many GFWC members at the entry hall table where we gave out fans, membership applications and Antique & Vintage Show postcards from 10 to 3. 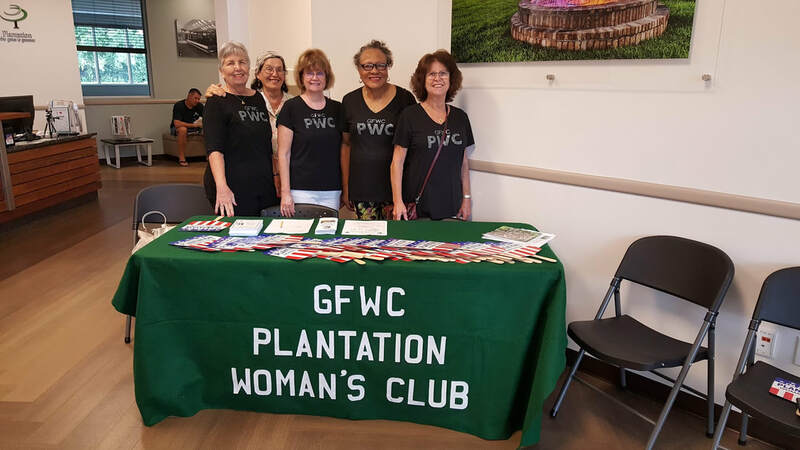 Thank you to Jennifer Nieset for organizing the volunteers. 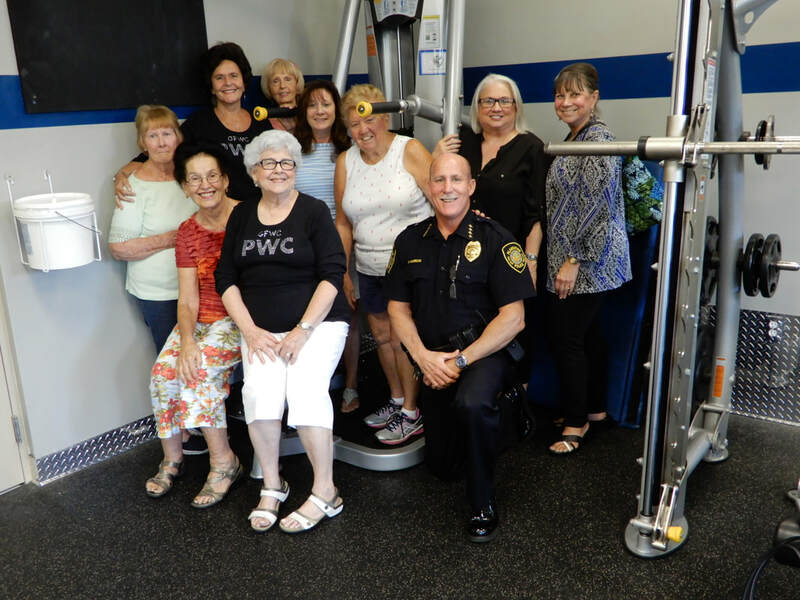 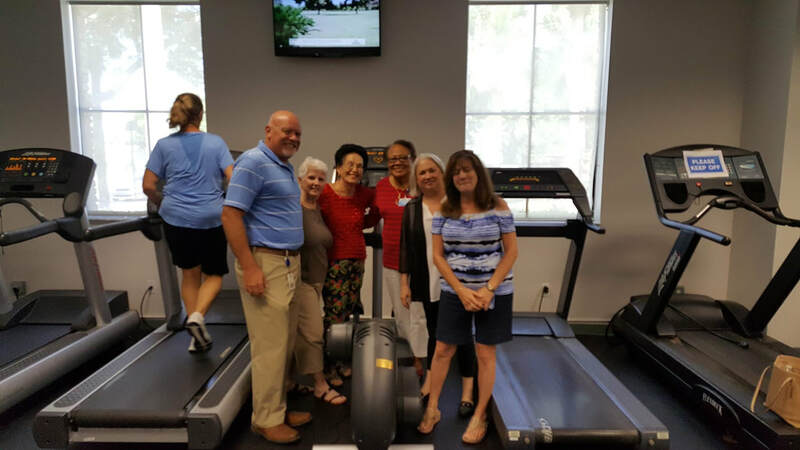 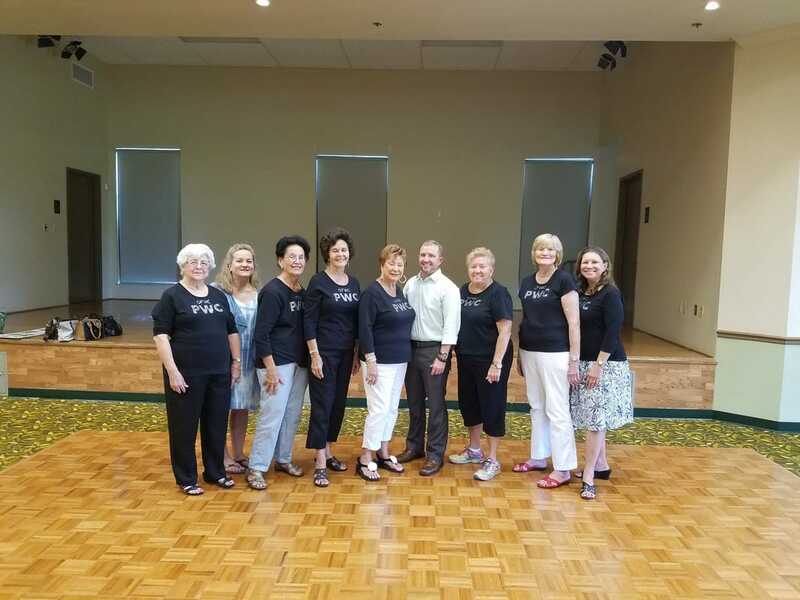 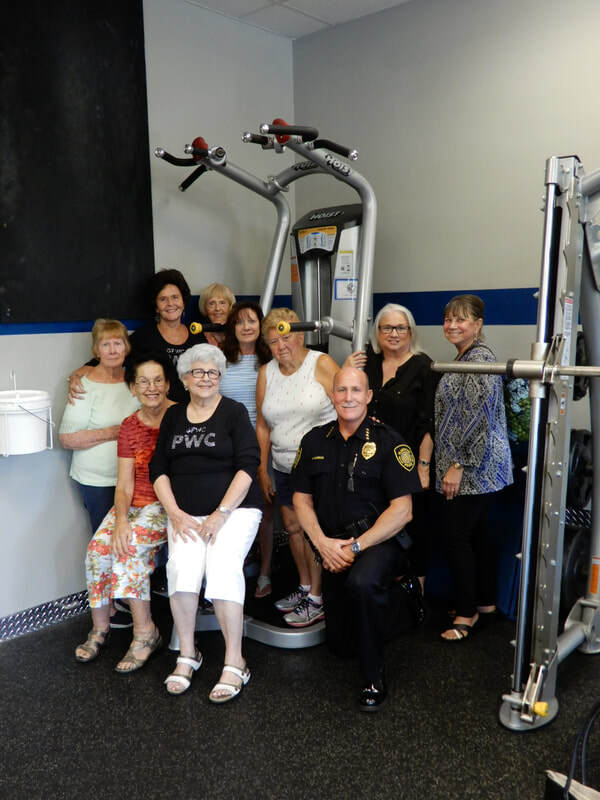 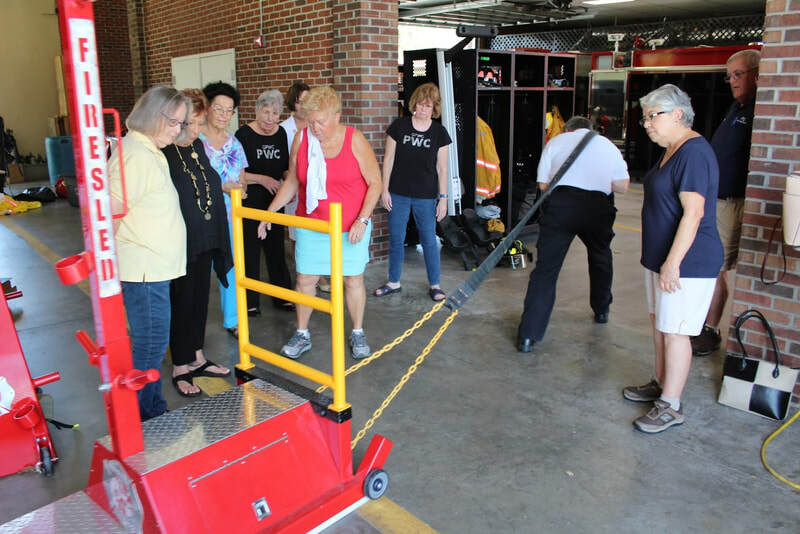 Members who helped out were Helen Ackerman, Judy McLeod, Jennifer Nieset, Doreen Tullock-Read, Amelia Feeley, Dorothy Noll, Pat Livingston, Joan Tinsky and Pat Hinde. 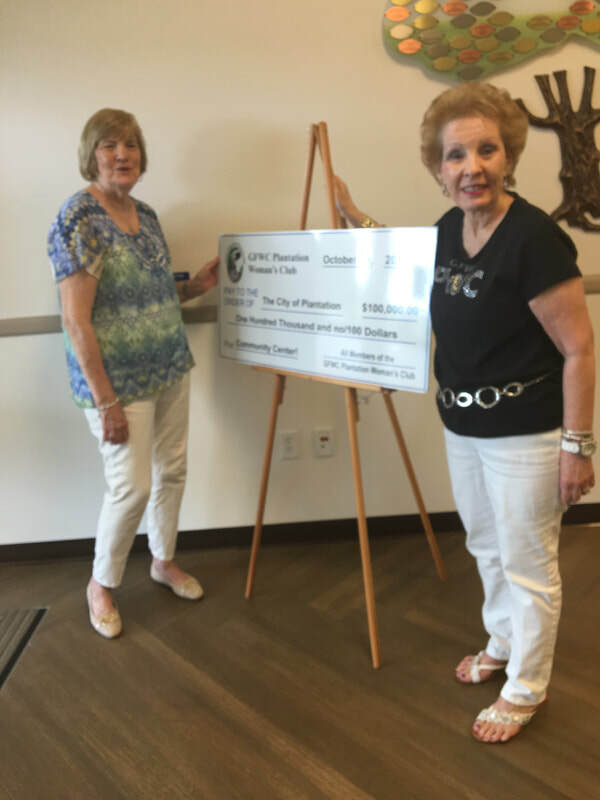 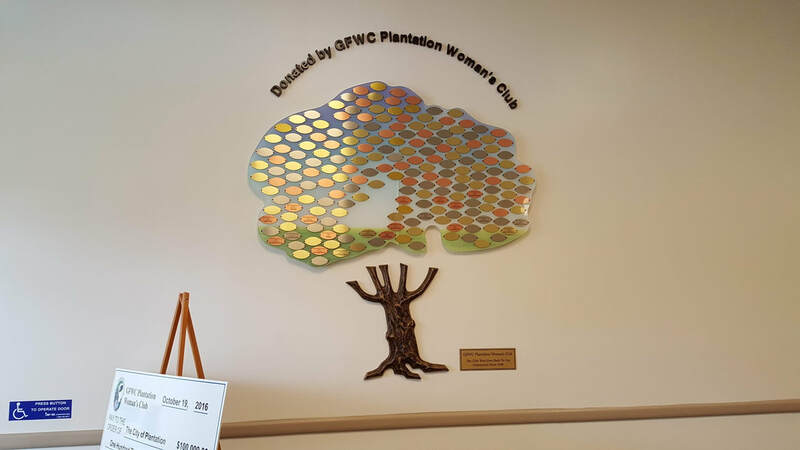 Our super-sized donation check was displayed by the Center and we were delighted to see the "leaves" of the hallway tree engraved with the Club's many Plantation donations. 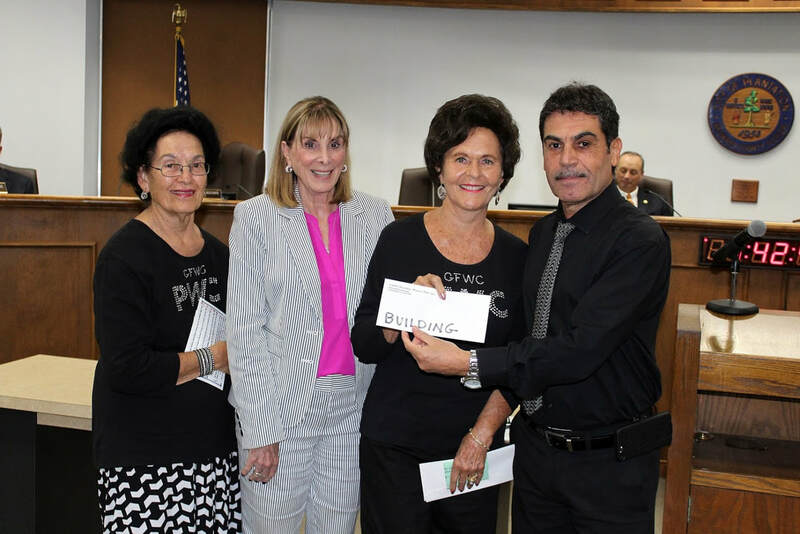 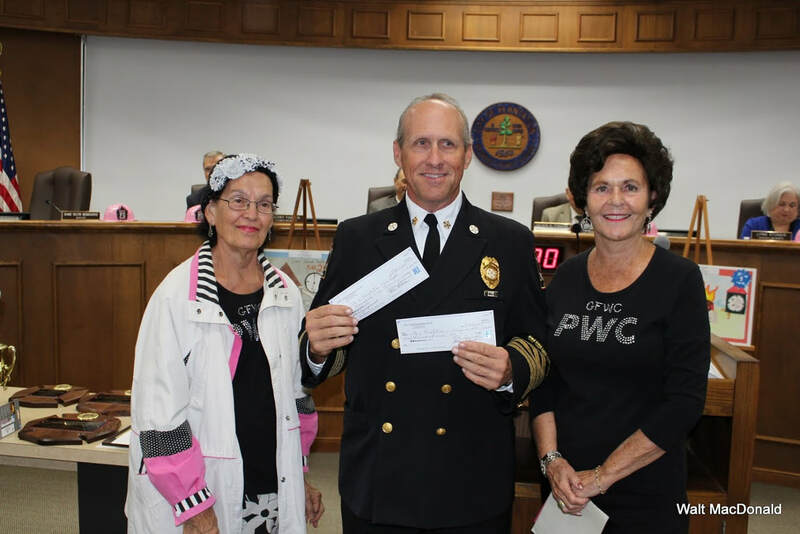 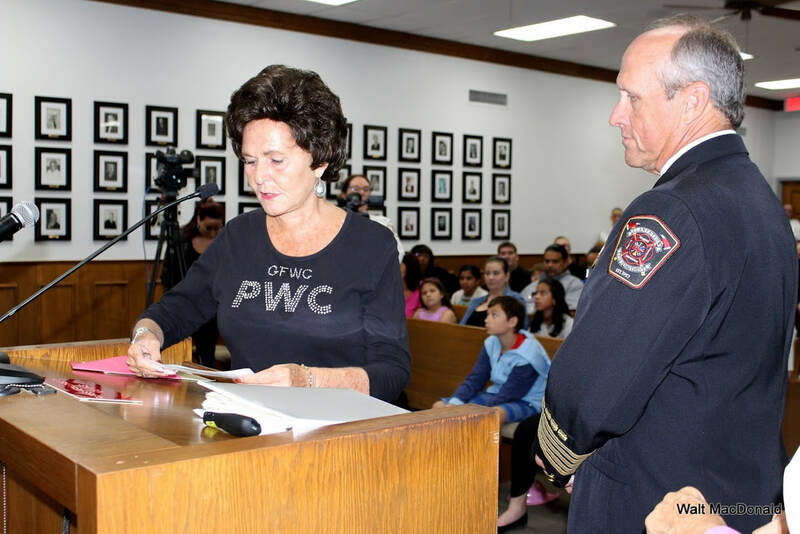 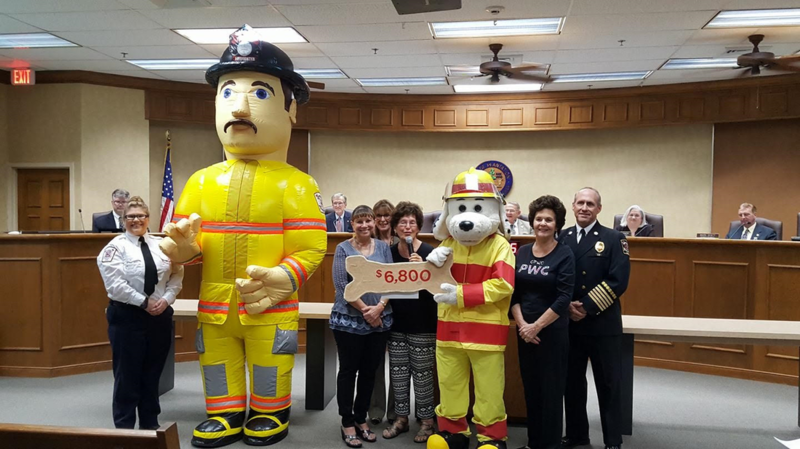 The Plantation Fire Department's educational characters, "Sparky the Fire Dog" and "Big Bob" were the recipients of a special bone-shaped check for $6,800 at the Plantation City Council meeting of January 25th, 2017. 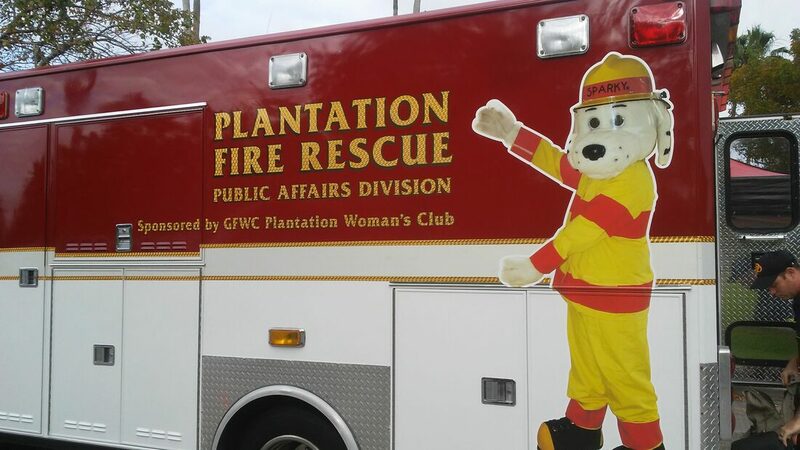 The specialized robotics in the mascots head gear include air conditioning as well as movement control features. 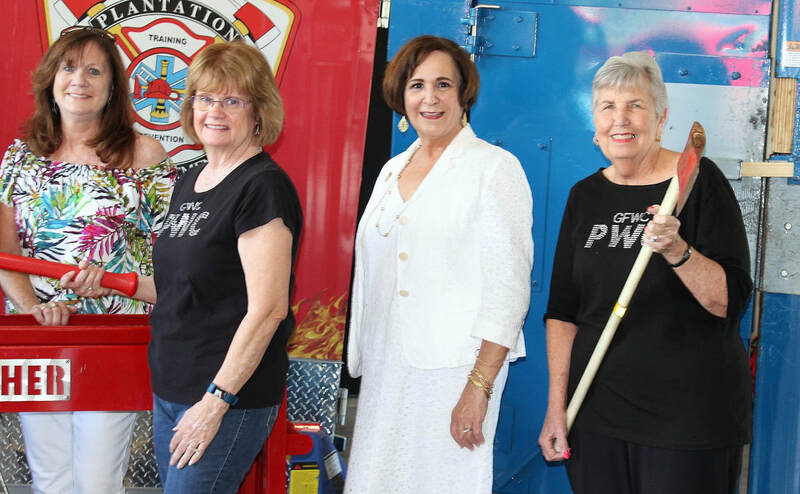 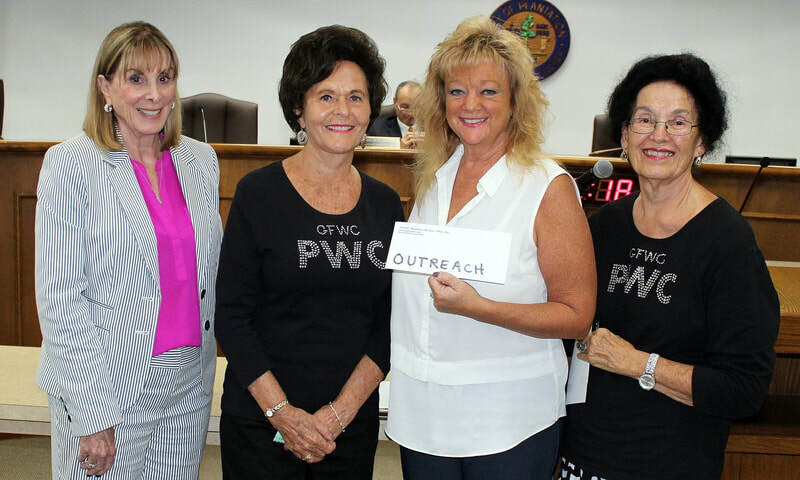 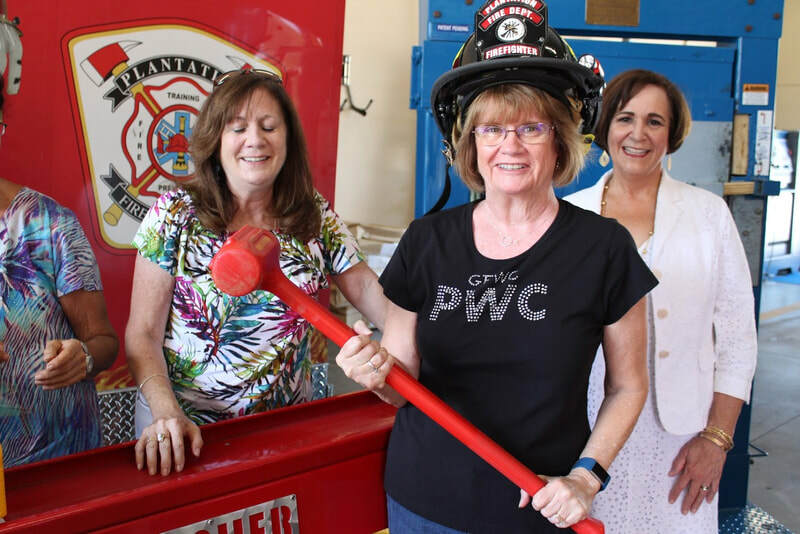 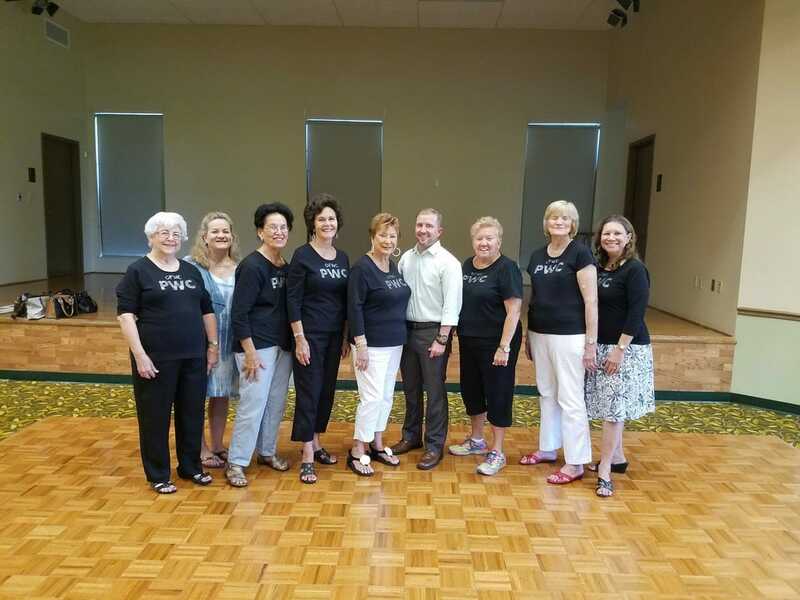 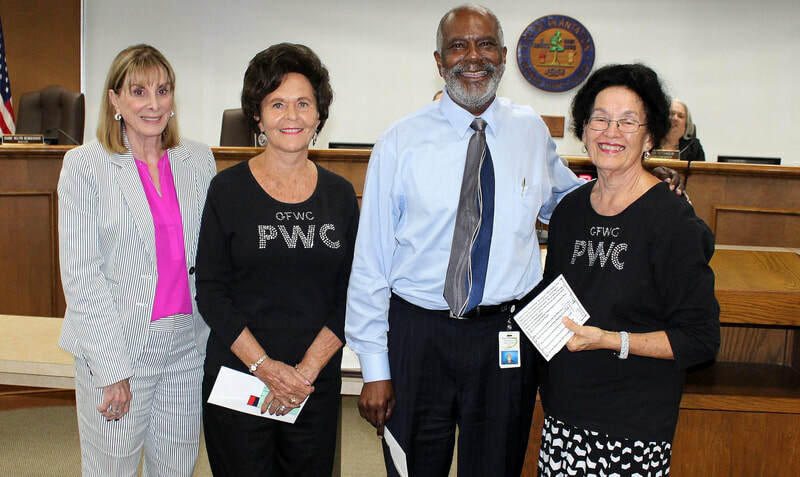 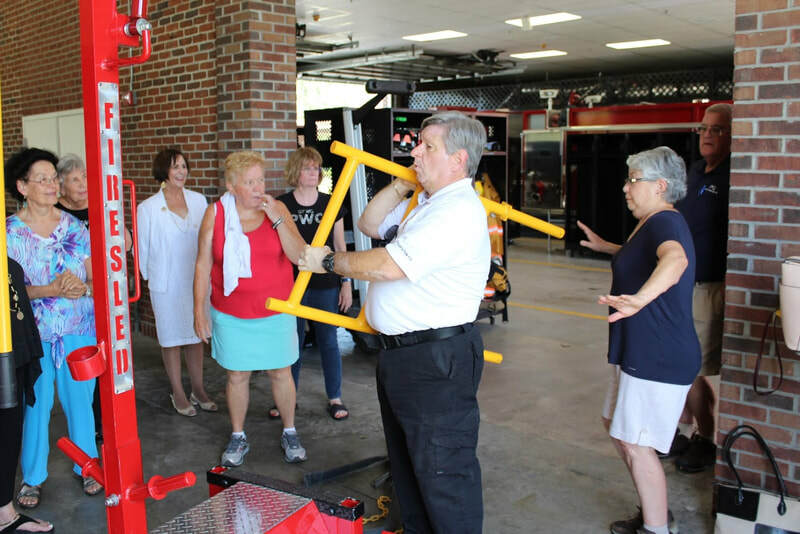 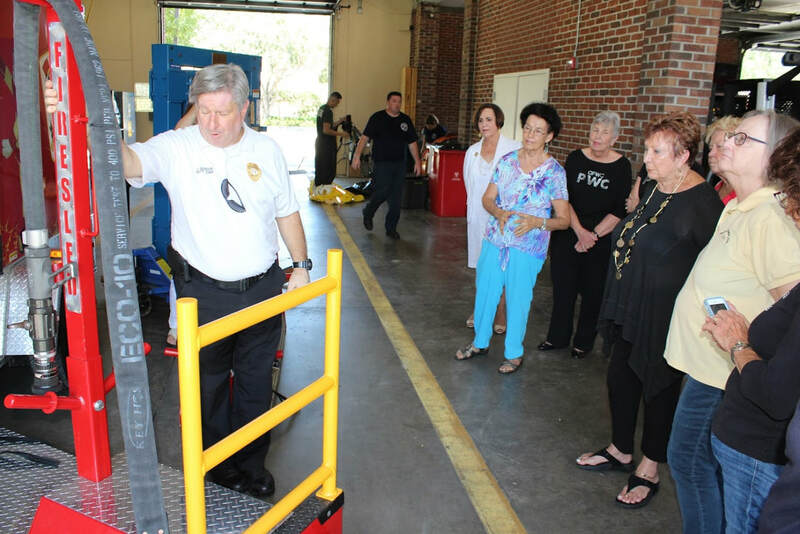 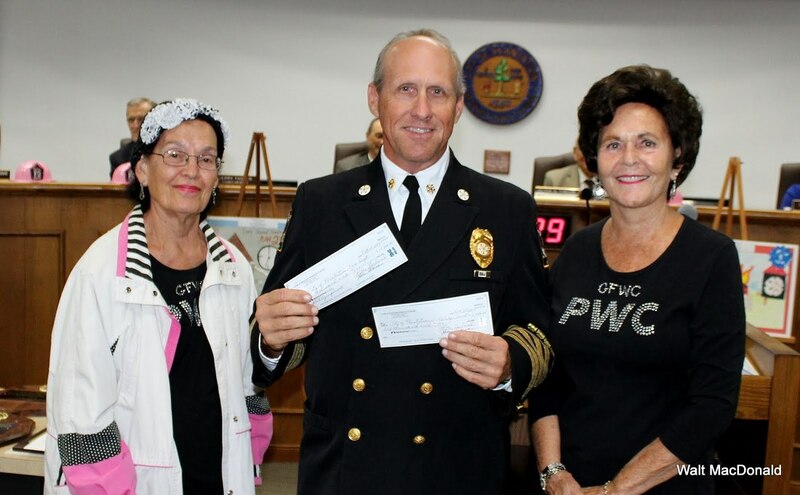 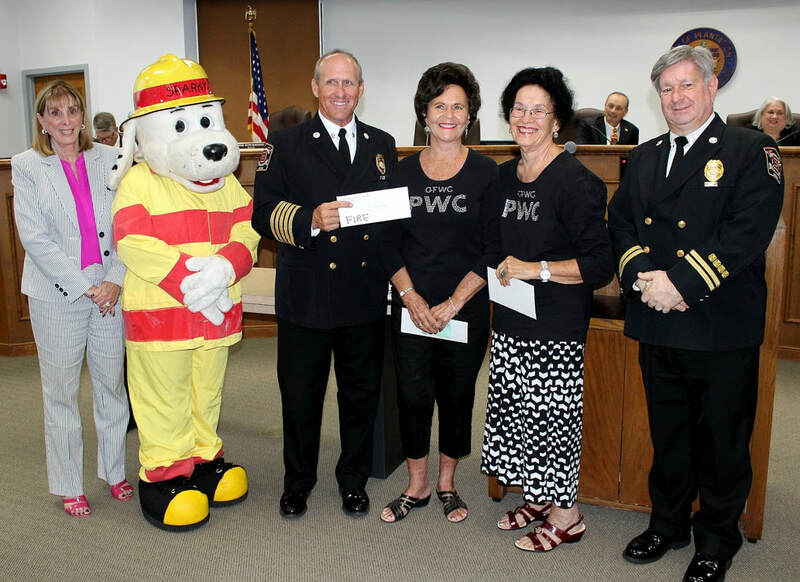 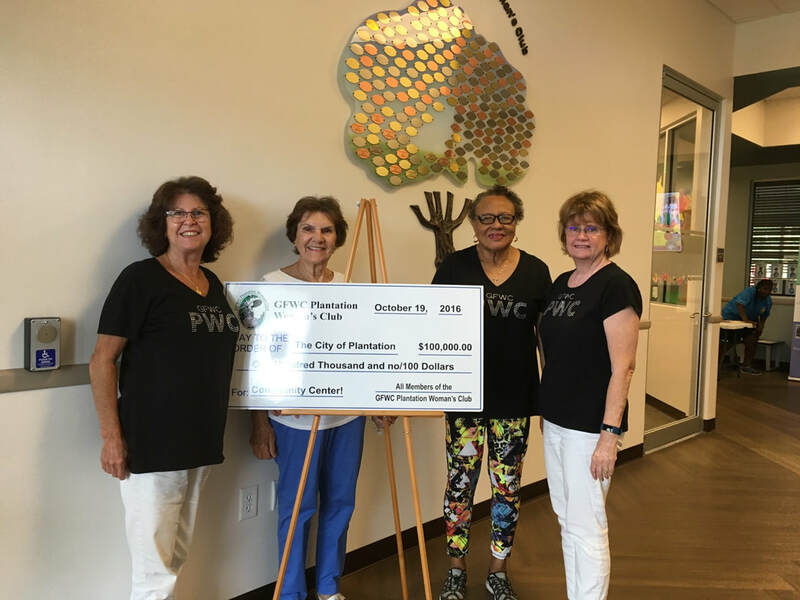 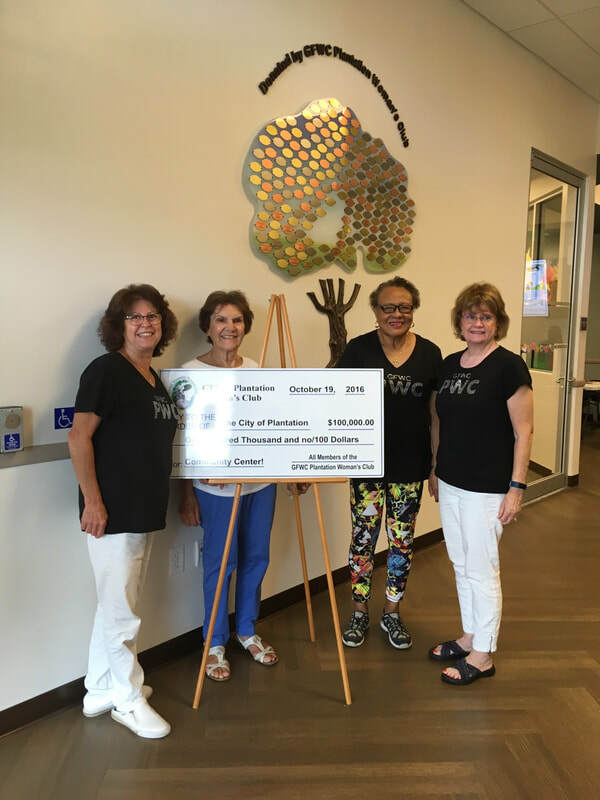 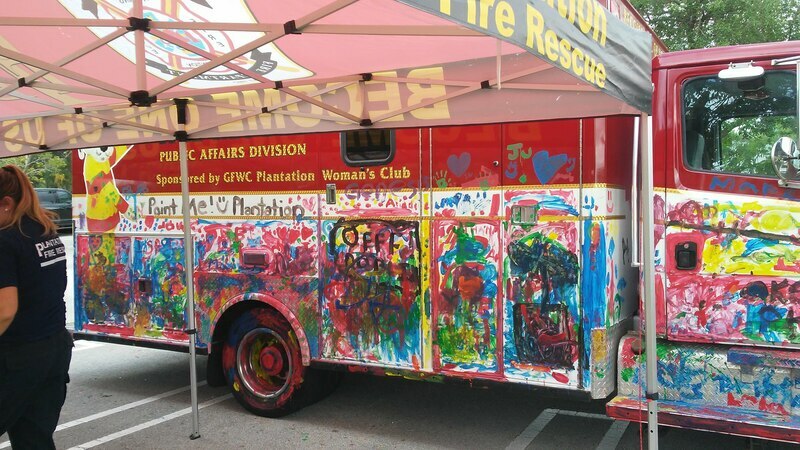 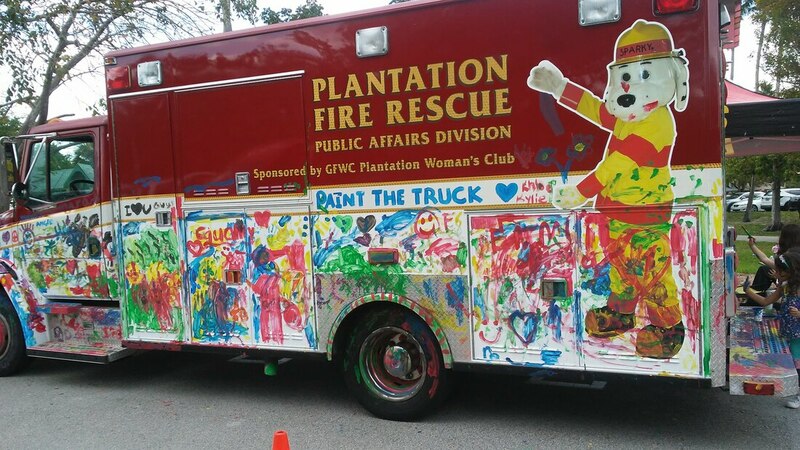 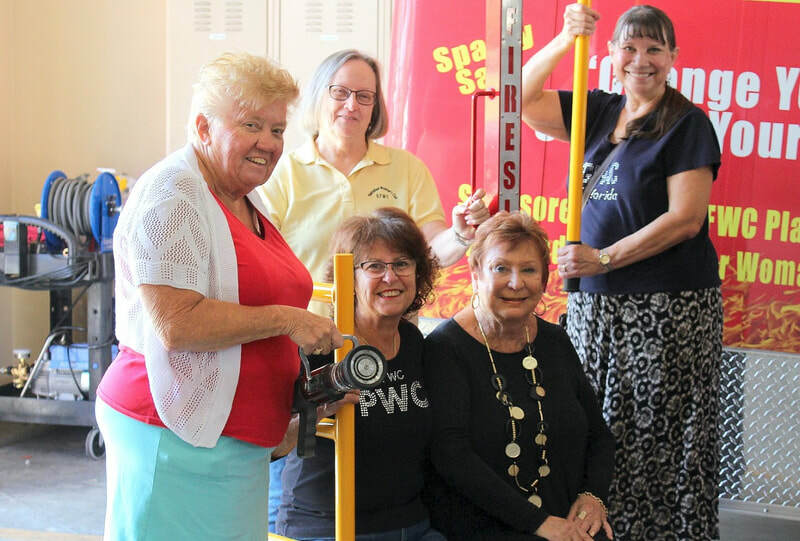 GFWC Plantation Woman's Club, a civic organization since 1949, provided the funds for replacement of these school teaching figures that are part of the fire department's school outreach programming and also are featured at the Annual Firemen's BBQ in November. 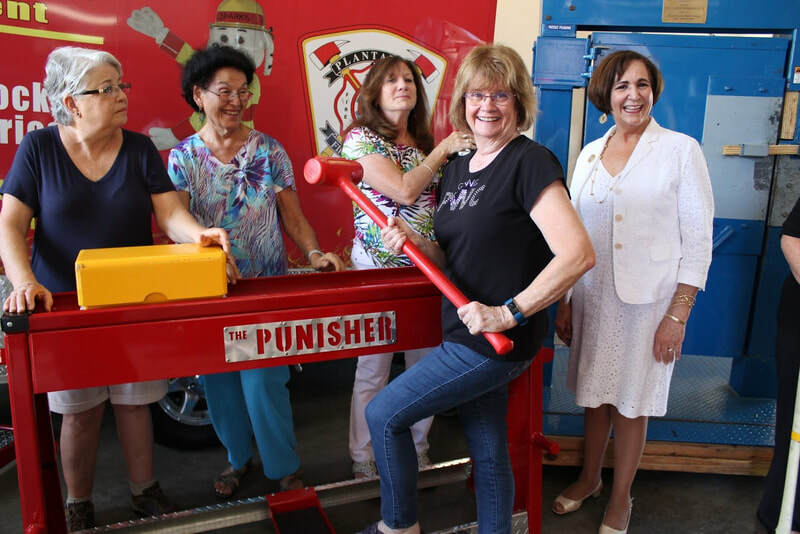 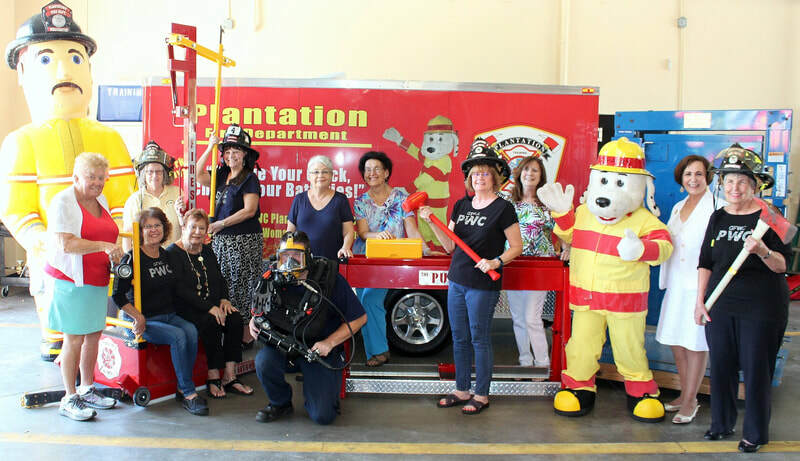 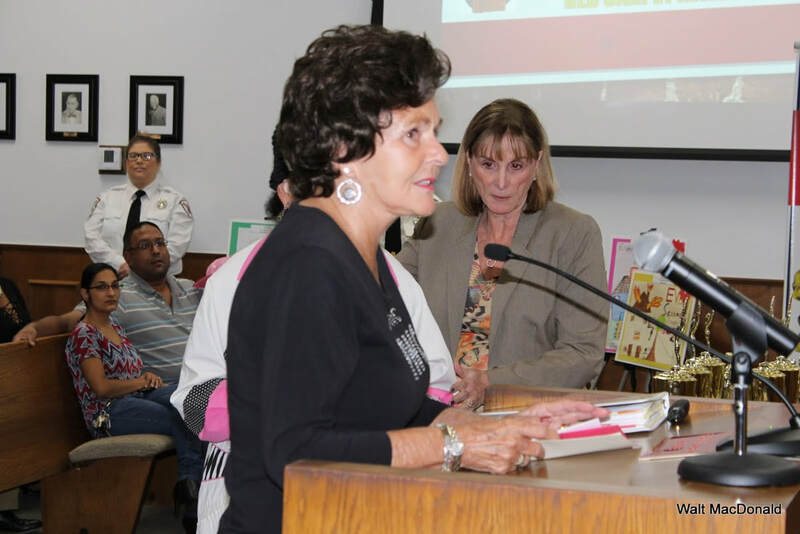 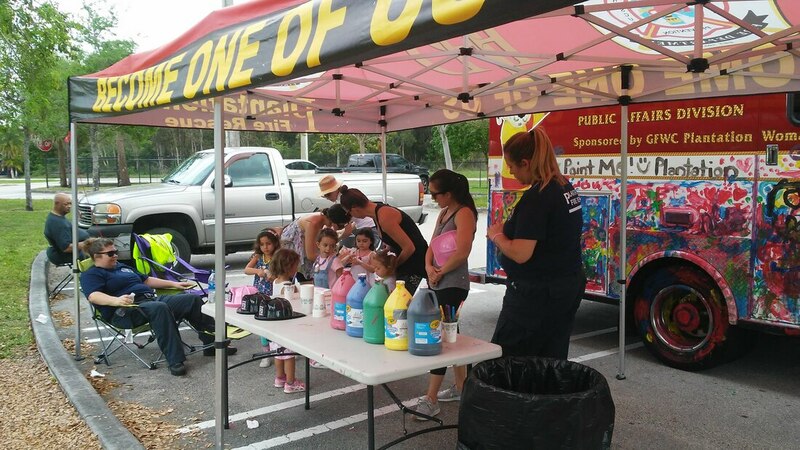 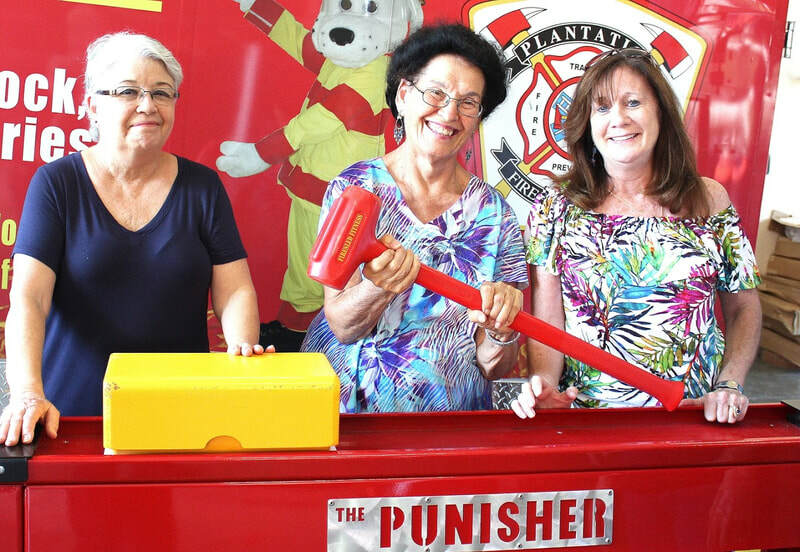 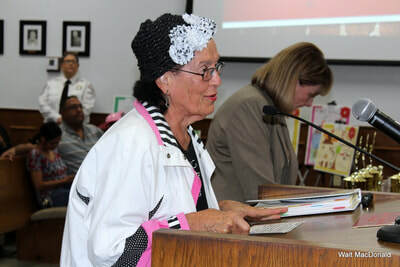 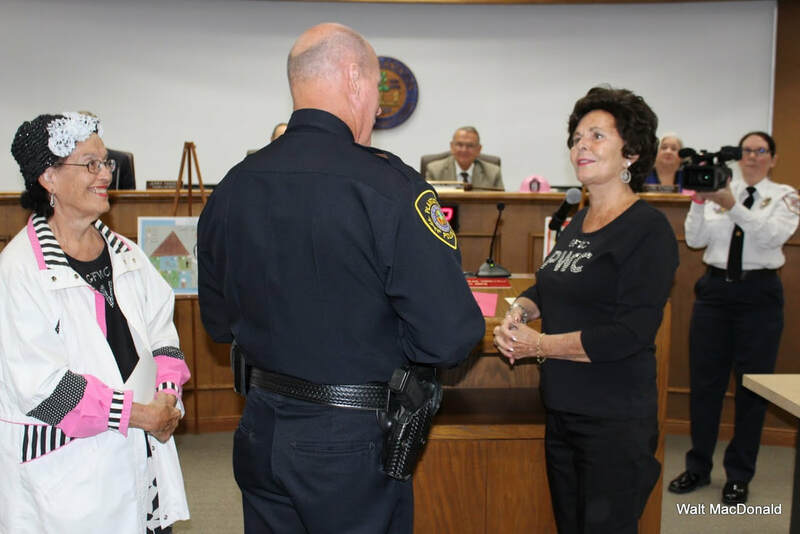 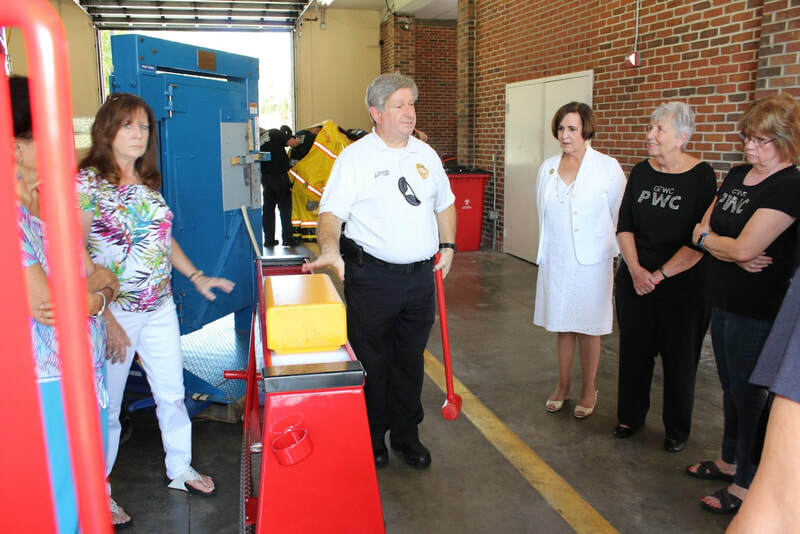 Pictured from left to right: Fire Department Public Education Officer, Kaitlin Murphins, " BIG BOB", Darlene Vlazny, past president, Plantation Mayor Diane Veltri-Bendekovic, Helen Ackerman, president (holding microphone), "SPARKY", Gloria Merritt, community improvements chair and Laney Stearns, Plantation Fire Chief. 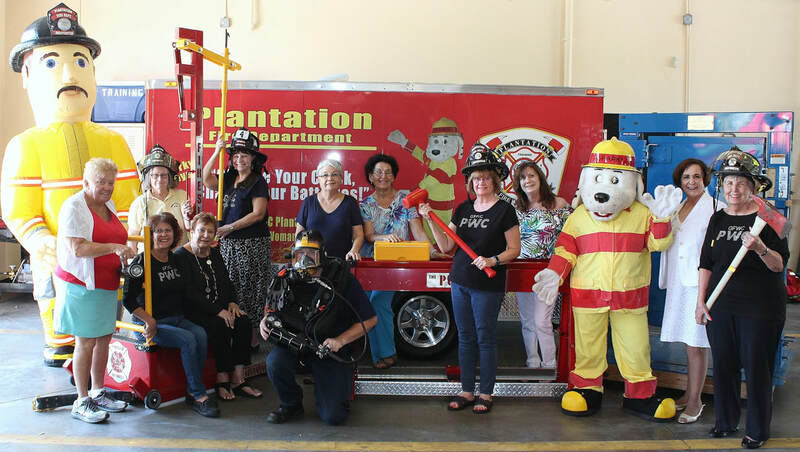 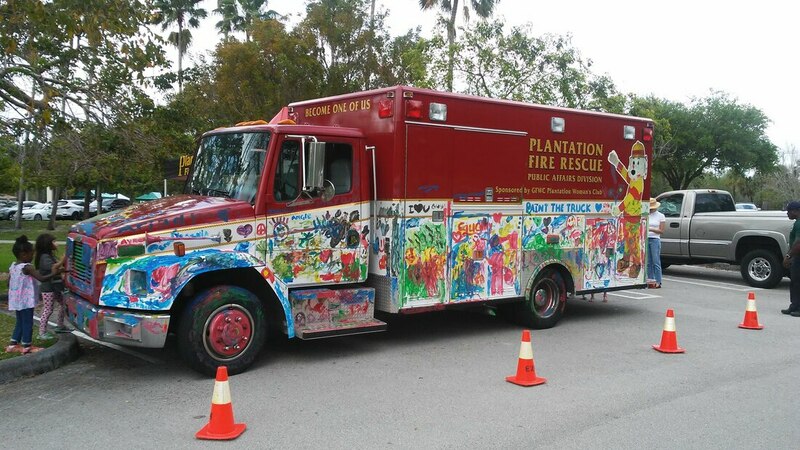 Seconds are precious when rescuers are trying to save people from a vehicle in a canal or lake and now Plantation's volunteer firefighters are equipped to save some time. 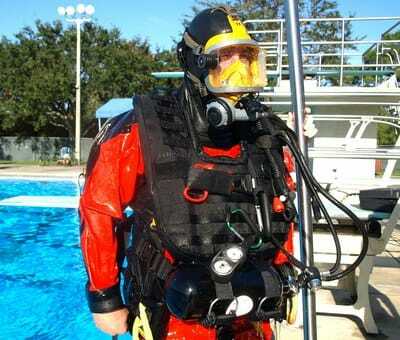 For those involved in the rescue there's the tanks, the air-filled vest to maintain buoyancy, the mask, fins, gloves, snorkel, rope for a lifeline. 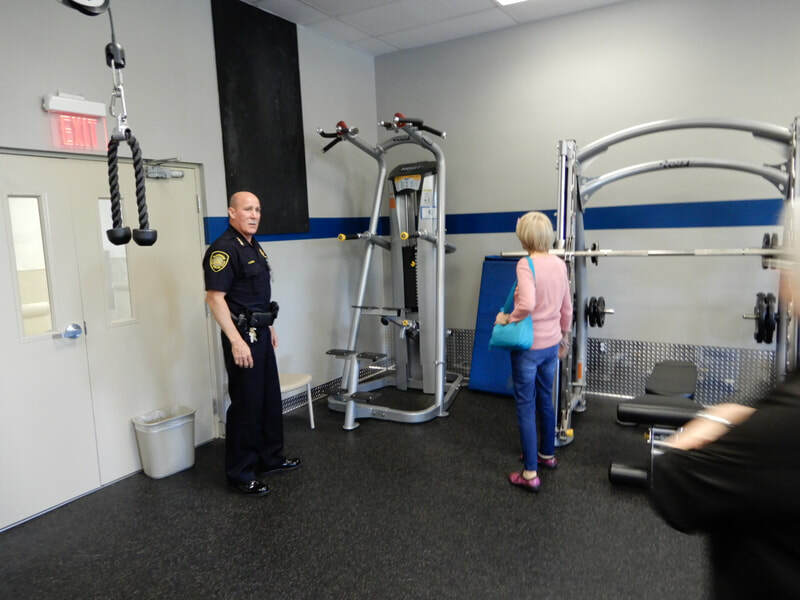 The suiting up can take three to five minutes. But with the new equipment that's part of the official dive team ensemble, it takes 30 seconds to a minute to suit up, minus the gloves, officials say. 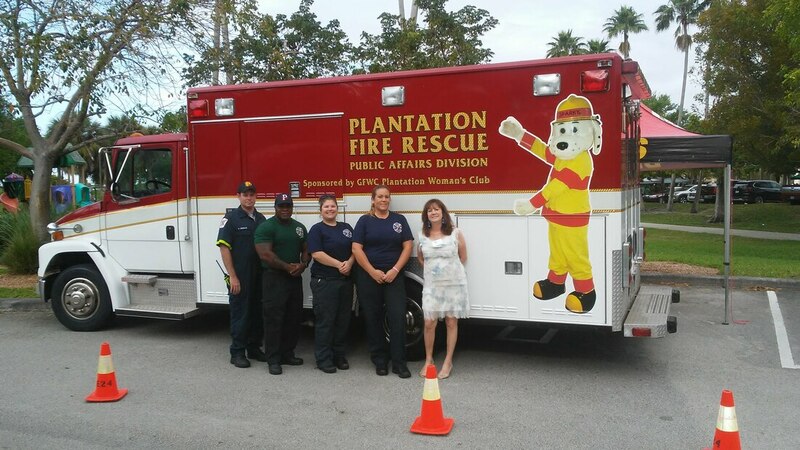 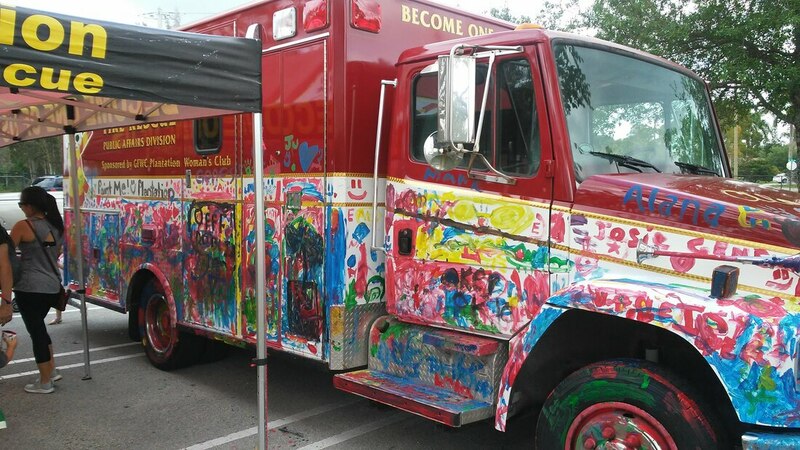 "The difference is it's one piece and it goes on in one motion," said Plantation Fire Department spokesman Joel Gordon. 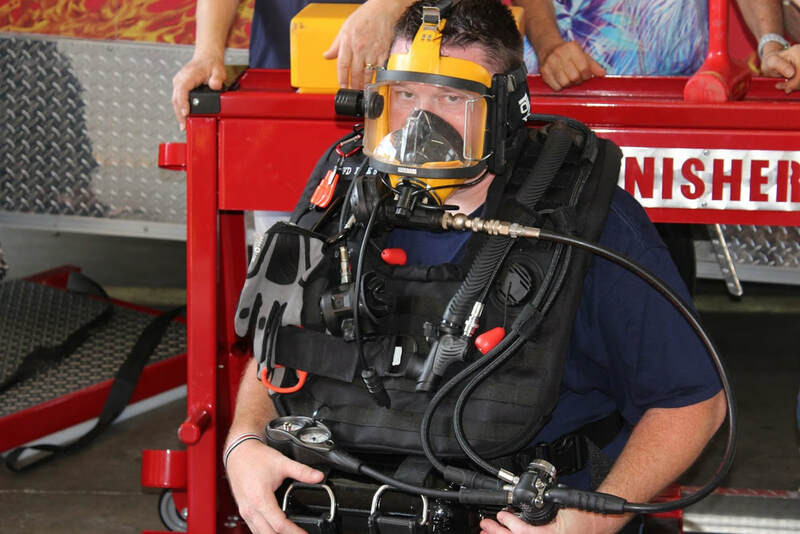 Firefighters can "dress quickly [and] have what they need all at once." 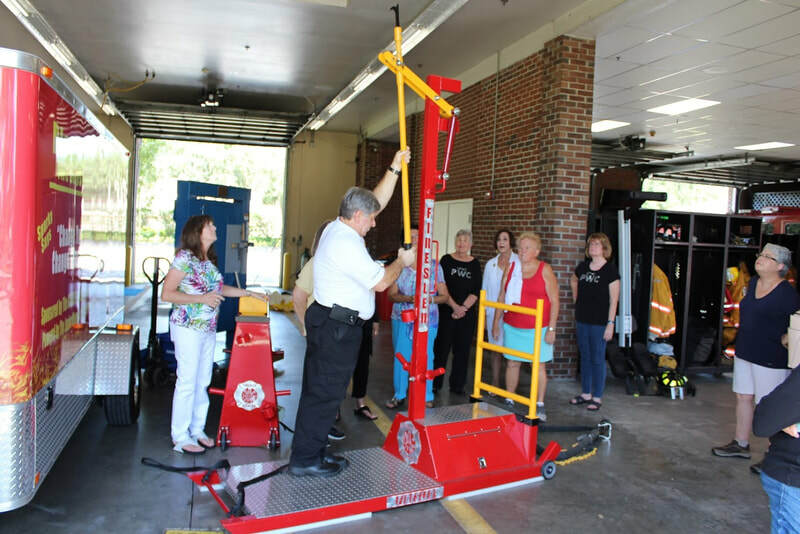 The equipment is called the Aqua-Lung Rapid Diver System, and this month the city purchased five sets that cost $1,750 each. 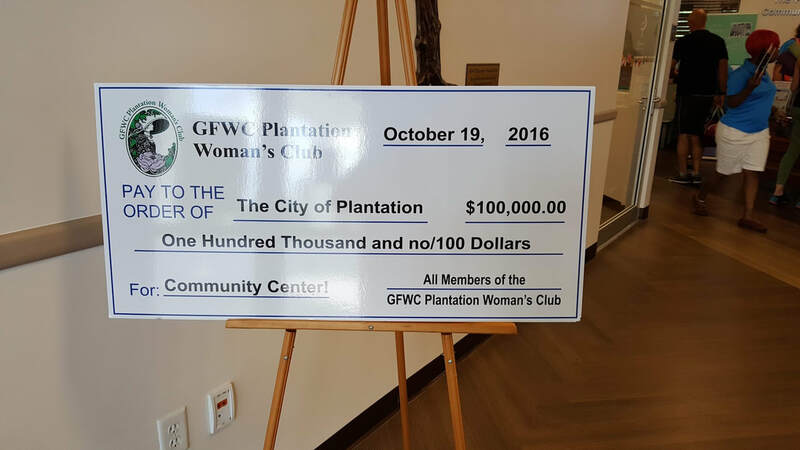 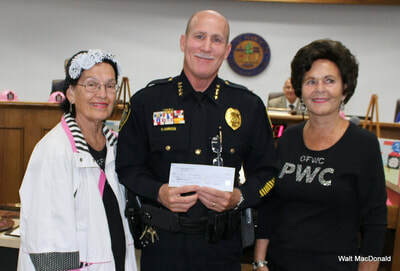 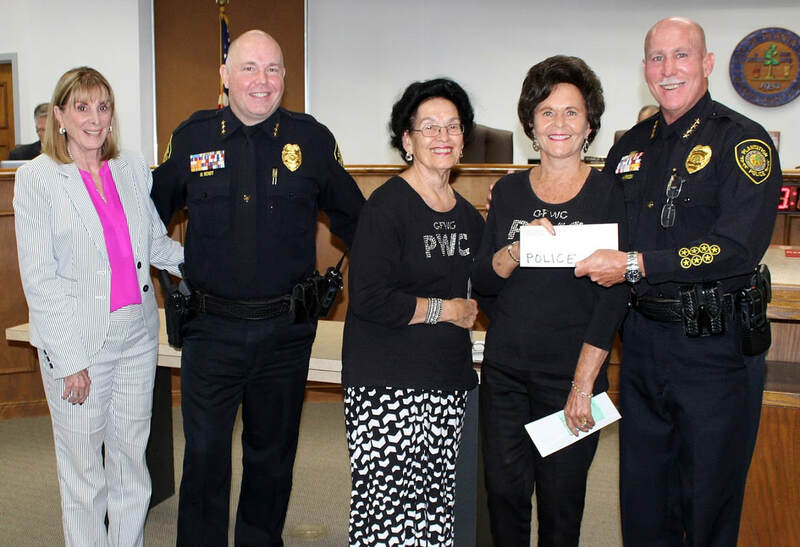 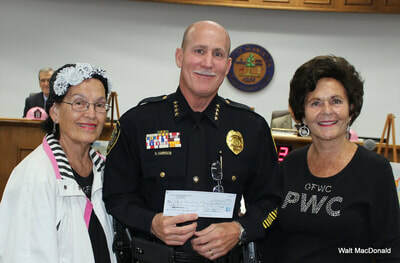 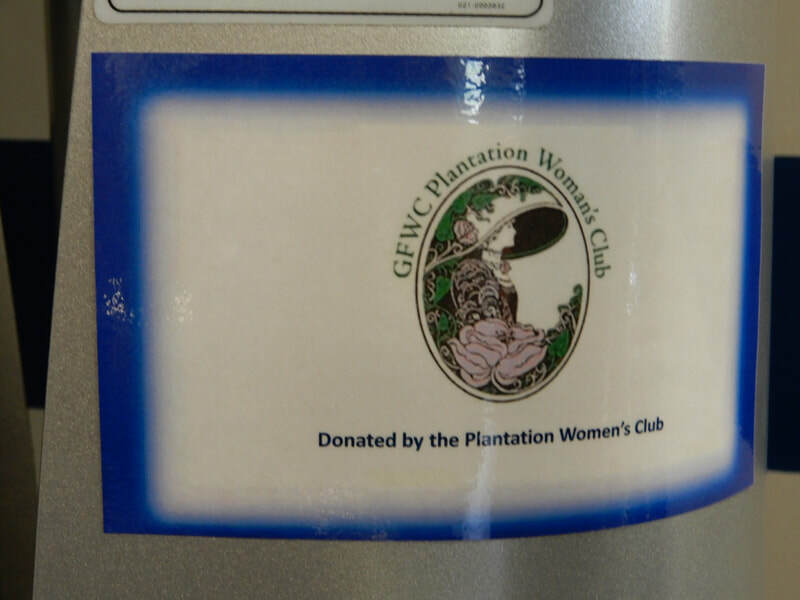 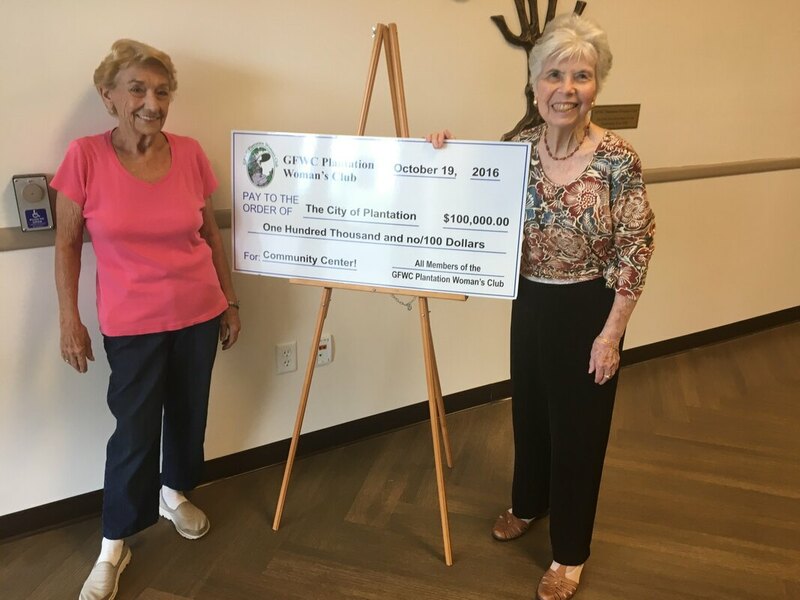 The Plantation Women's Club donated the money. 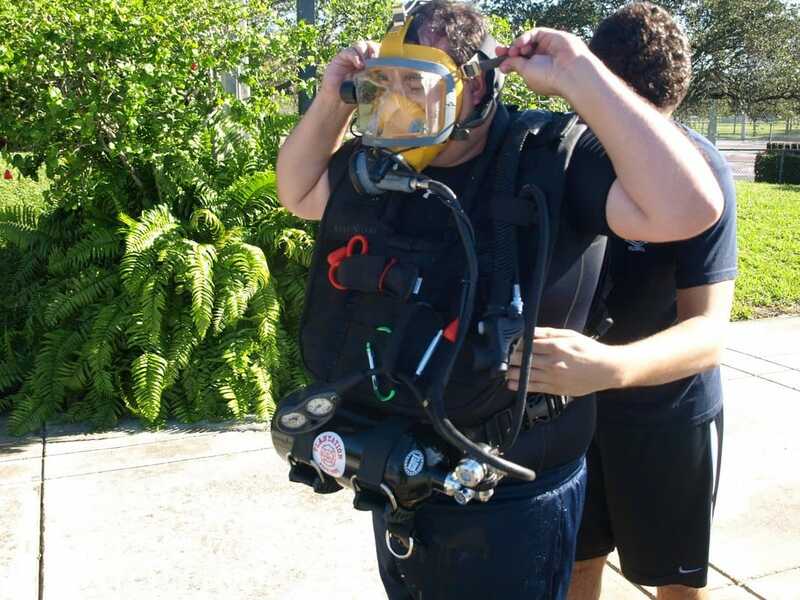 Gordon said time is of the essence in these situations and the diver "throws it over the head, clips one belt and is ready to go." "When a vehicle goes into the water it's very disorienting to the occupants of the vehicle," he said. 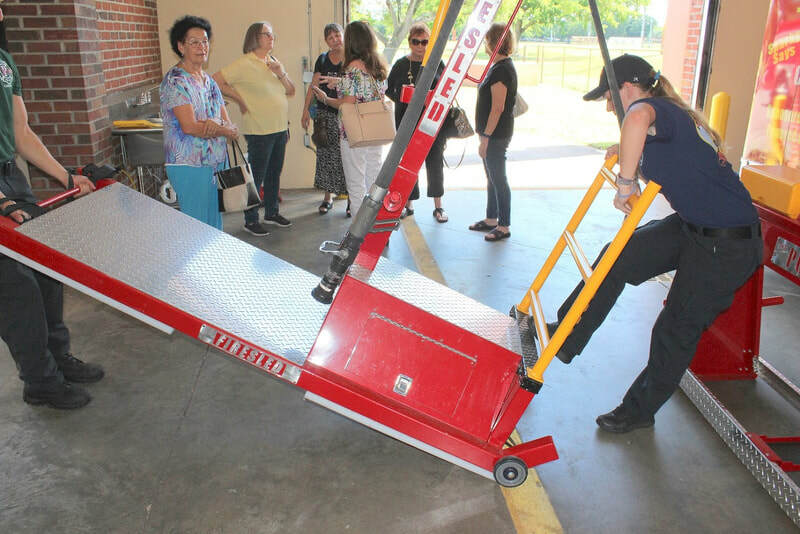 "It's like hitting a brick wall at whatever speed you're going." 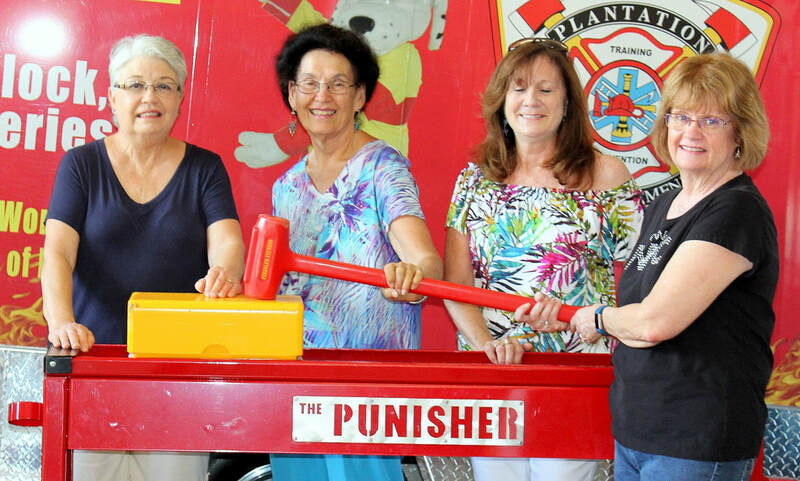 The clock starts ticking before the passengers stop breathing. "Minutes are crucial," he said. 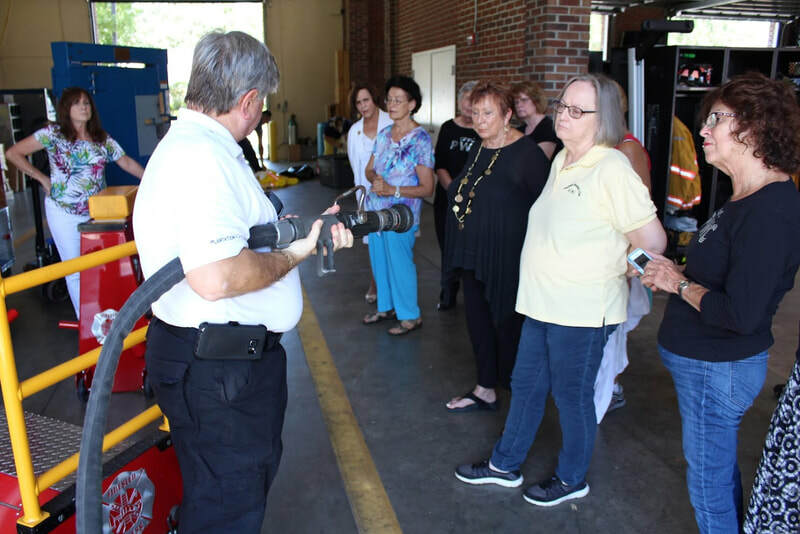 "Any diver knows how complicated it is to put on dive gear," said Pete Gannon, Dive Team Leader and president of Dive Rescue International. 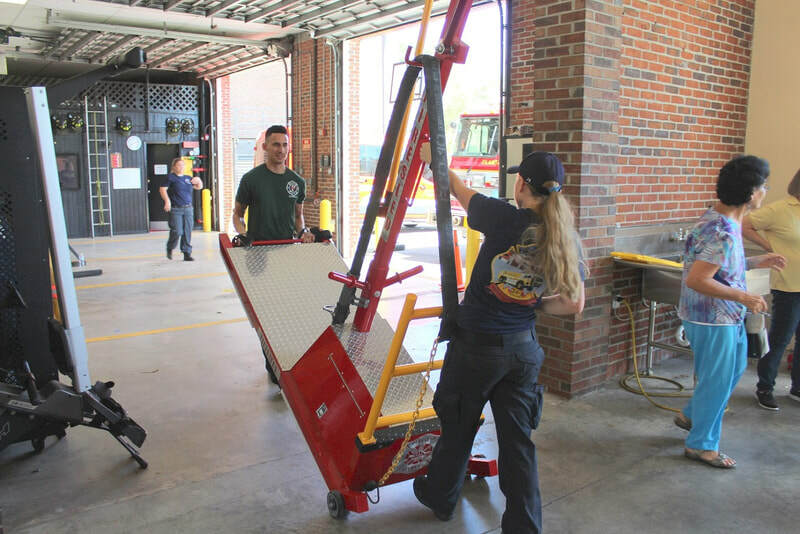 "It can be very time consuming. 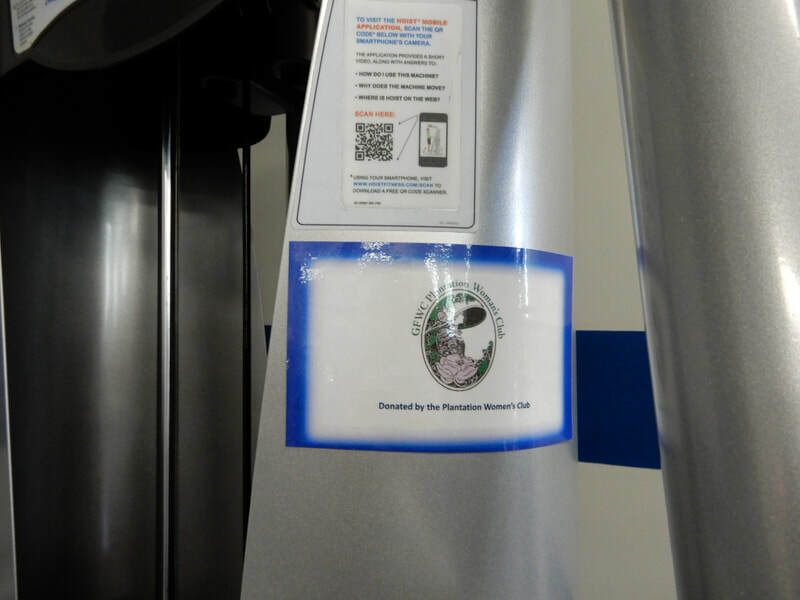 And when you're doing it in a hurry you tend to forget things. 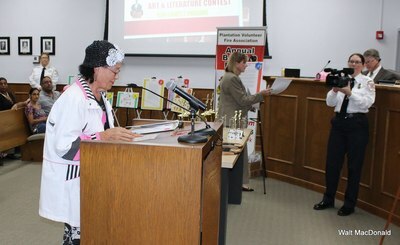 This outfit contains everything. There's no need to second guess yourself," Gannon said.